Today is the anniversary of election of the Cardinal Eugenio Maria Giuseppe Giovanni Pacelli to the service as sovereign pontiff. He took the name of PIUS XII. He served as Pope of the Holy Roman Church for 19.5 years. Today, is also the Pontiff’s birthday. He died on 9 October 1958. Born in Rome, priest of the Diocese of Rome, and Bishop of Rome. Venerable Servant of God. 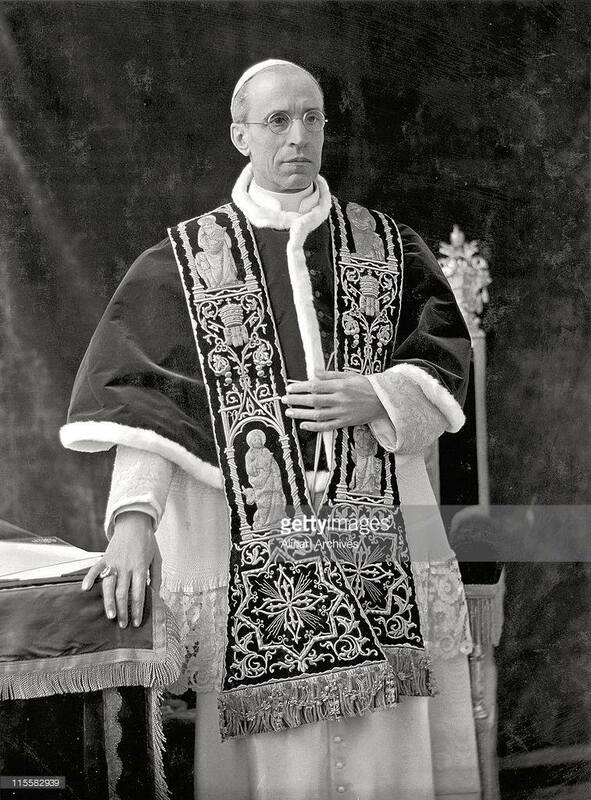 God, Who, in Thine ineffable providence, didst will that Thy servant Pius XII should be numbered among the high priests, grant, we beseech Thee, that he, who on earth held the place of Thine only-begotten Son, may be joined forevermore to the fellowship of Thy holy pontiffs. Through the same Jesus Christ, Thy Son, Who liveth and reigneth with Thee in the unity of the Holy Ghost, God, world without end. Amen. [La Vanguardia:] One of your projects is to open up the Vatican archives on the Holocaust. [Pope:] They will bring out much light. [La Vanguardia:] Are you concerned with what may be found? [Pope:] In this theme, what concerns me is the figure of Pius XII, the pope who led the Church during the Second World War. Everything has been thrown upon poor Pius XII! But it has to be recalled that, before, he was seen as the great defender of the Jews. He hid many in the convents of Rome and of other Italian cities, and also in the summer residence of Castel Gandolfo. There, in the Pope’s room, on his very bed, 42 babies were born, Jewish children and of other persecuted people who were sheltered there. I do not mean to say that Pius XII did not make mistakes – I myself make many – but his role must be viewed according to the context of the time. Was it better, for example, that he did not speak so that more Jews would not be killed, or that he did? I also want to say that at times I feel a kind of existential rash [urticaria existencial] when I see that all gather together against the Church and Pius XII, and they forget the great powers [United States, Soviet Union, United Kingdom]. Did you know that they knew perfectly well the rail network used by the Nazis to take the Jews to the concentration camps? They had the photographs. But they did not bomb these rail lines. Why? It would be good if we spoke a little bit about everything. I once said to someone –I can’t recall who it was now– that for a US citizen NOT to vote is a grave error in being a good citizen, and a good Catholic. Sinful, in fact. AND at this this time I had no idea what a previous Pope held to be true. Perhaps the statement is a bit heavy-handed but I had a point. We have a distinct responsibility to assist in the governing process; to abandon this responsibility is reckless. Are you socially responsible? So many seem not to be, and don’t even care to be. In the West our freedoms are based on a values wrought by civility, the intellect, the common good and common sense. 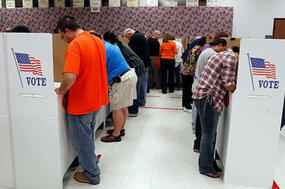 Why isn’t voting more compelling to citizens and Catholics even in the face of pretty bad candidates? Opting out of the voting process seems to be foolish and a not too brilliant when you think of the good of the republic and the wars that got the freedoms we enjoy today to be a reality. We are, by nature I believe, concerned for the destiny and good of others now and at the end of time. Voting is one of those ways in which we are co-operators with grace for the good of humanity, even the very localized humanity in my town, state and nation. There is a heavy responsibility on everyone, man or woman, who has the right to vote, especially when the interests of religion are at stake; abstention in this case is in itself, it should be thoroughly understood, a grave and fatal sin of omission. On the contrary, to exercise, and exercise well, one’s right to vote is to work effectively for the true good of the people, as loyal defenders of the cause of God and of the Church. 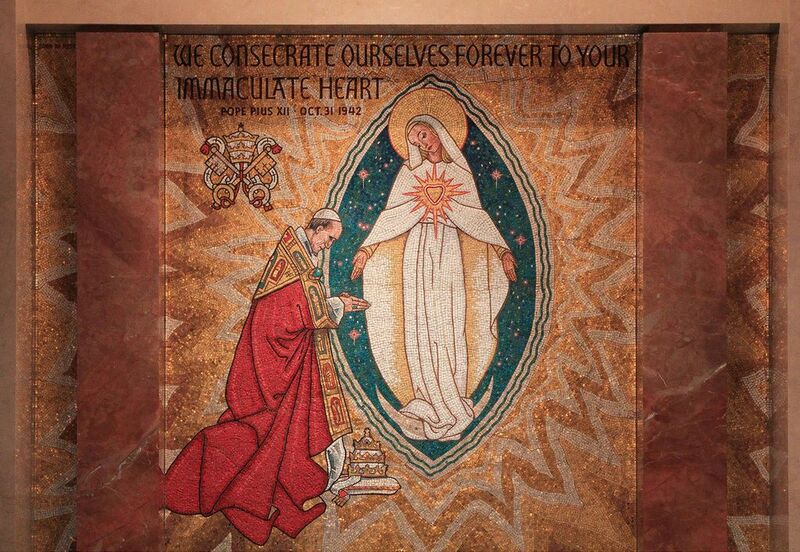 We well know the Rosary’s powerful efficacy to obtain the maternal aid of the Virgin. By no means is there only one way to pray to obtain this aid. However, We consider the Holy Rosary the most convenient and most fruitful means, as is clearly suggested by the very origin of this practice, heavenly rather than human, and by its nature. 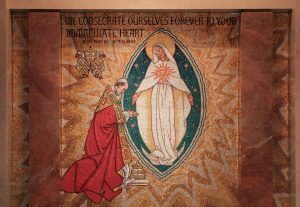 What prayers are better adapted and more beautiful than the Lord’s prayer and the angelic salutation, which are the flowers with which this mystical crown is formed? With meditation of the Sacred Mysteries added to the vocal prayers, there emerges another very great advantage, so that all, even the most simple and least educated, have in this a prompt and easy way to nourish and preserve their own faith.